For those of you searching for a holiday sweater that's not too OTT, we've got one that will last you through the winter months. This J.Crew sweater ($98) is just holiday enough to keep you looking like you're in for holiday cheer, yet is subtle in both colour and decoration. 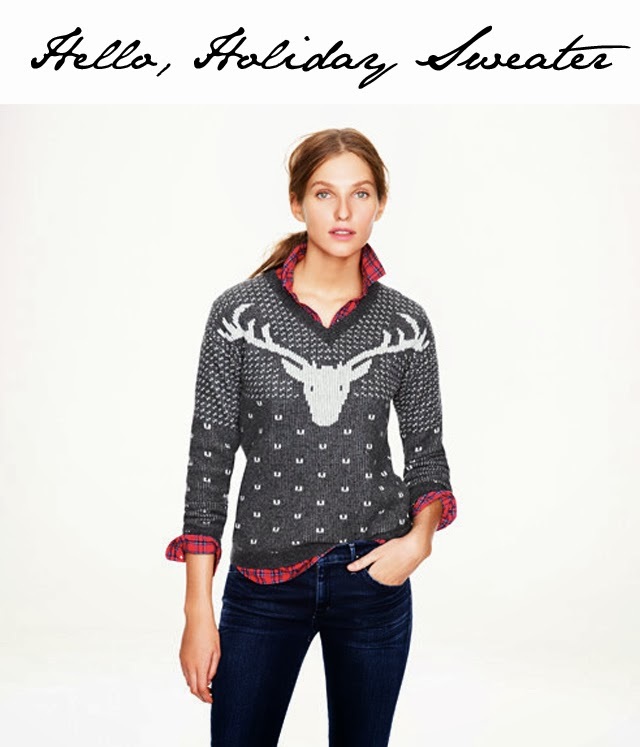 We all know holiday sweaters have gone to extremes, which can be fun. For some, however, less is more. Oh, and we should probably mention this little pick is on sale for 30% off if you use the code- Holiday. Shop, wear and sing Jingle Bells at the top of your lungs while wearing.